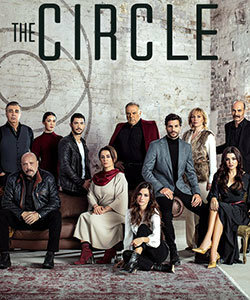 The Circle is a criminal organization that manages the dark world in Turkey. Whenever one member becomes too powerful, the rulers of The Circle decide to kill him. 25 years ago, a mafia leader Eren Karabulut becomes a threat for The Circle and he is pulled over a trap. His new born baby is kidnapped by the members of The Circle. In order to save his baby, Eren Karabulut goes to the meeting area but he was killed there. Eren Karabulut’s wife Humeyra (Nazan Kesal) cannot find her own baby. Her baby Cihangir is taken by a big mafia member Ilhan (Burak Sergen) and a new born baby Kaan is handed in to Humeyra in return. Humeyra understands that she would not be able to get her own baby, thus she accepts her faith and decides to raise Kaan as if her own son. Aziz (Kadir Dogulu) is the only son and heir of a wealthy family. He is passionate, successful and very respected in high society. He takes over the family business in textile industry after his father gets retired and manages the company successfully. However, he has some problems with Kerem (Umit Kantarcilar) who has been raised by Aziz’s family. After his parents passed away when he was a little kid, Kerem has been adopted by Aziz’s family. He has been raised in a wealthy family with good opportunities. However, he has to endure the complaints and grumbles of Aziz mother. While Aziz works as a CEO in the family business, Kerem works as a co-manager. Aziz does the legal business whereas Kerem carries out the illegal business. Even though Aziz is aware of the dark side of his father, he prefers not to carry out the illegal activities. Kerem, on the other hand, wants to gain all power and dispraise Aziz. Four different lives intersect after a serious car accident. The life of Kadir, Zeynep, Cemre and Kerem would never be same after getting into this car accident. Kadir (Kivanc Tatlitug) is a successful chief superintendent at Istanbul organized crime bureau. He has a happy life with his wife Asli (Sevtap Ozaltun) and his lovely daughter. Kadir is a workaholic and fearless and does not refrain from putting himself into danger. He loves his family to death and tries to do his best to become a good father and a good husband. Kadir has nothing to have in this life other than his beloved wife and daughter. He has been raised in an orphanage and met his wife there. Apart from his family, Kadir’s only passion is his job and Sariyer soccer team. He goes to each and every soccer match and roots for his team. One day, he also brings his family to the soccer match but something unexpected happens. Due to terrorsit attack outside of the stadium, Kadir’s wife and daughter dies and Kadir’s lovely life turns upside down. The story begins in Istanbul in 1970s and continues in the fertile lands of Cukurova, Adana (a city in the south of Turkey). Zuleyla (Hilal Altinbilek) is a young and beautiful girl who lives in Istanbul together with her step-brother Veli (Mustafa Acilan) and her sister-in-law. She works as a tailor in a well-known district in Istanbul and dreams to get married to her lover Yilmaz (Ugur Gunes). Yilmaz is a hardworking guy who works as a car mechanic. After his family passed away long ago, he has been raised by his master. Yilmaz does not have a wealthy life but he can do anything to make his lover Zuleyha happy. Leyla (Seda Bakan) is a beautiful single mother of a little baby boy. She makes a wrong marriage with a guy whom she believes in. However, she needs to return to her father’s house with her baby after things do not work out. Leyla starts to live at her father’s house in Germany together with her step-mother, step-sister Simge (Gulper Ozdemir), and step-brother. It becomes harder to come back to this house with her baby because she has to endure her step-mother’s grumble and her step-sister’s jealousy. She even cannot trust them for babysitting. 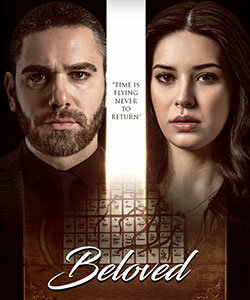 Leyla’s miserable life changes dramatically when she starts working as an interpreter for her father’s boss Hasmet (Mustafa Ustundag). Hasmet owns a chain of restaurants in Istanbul, he is a respected and successful businessman and has a wealthy life. He also does business in Germany to cover his illegal activities. He is in fact a ruthless drug dealer. Our Story (Bizim Hikaye) is the Turkish adaptation of popular American series Shameless. Filiz (Hazal Kaya) is a young girl who takes care of her 5 siblings due to her mother’s absence. She bears much of the child-bearing responsibility and tries to do her best keep her family together. She dedicates her life to her family. She quits her school and starts to work at low-skilled jobs to support her family financially. Filiz does all the household chore, works at various jobs even at night, and raises the rest of the family on her own. She also needs to cope with her alcoholic father. Her father Fikri (Reha Ozcan) is selfish and spends much of his time drinking. He takes everything and offers nothing. Bahar (Ozge Ozpirincci) is a beautiful single mother. After the accidental death of her husband Sarp (Caner Cindoruk) 4 years ago, she becomes all alone with her two children Nisan and Doruk. She tries to do her best to provide for her children but finds it so hard to give her children decent living conditions. Bahar works as an ironer in a small workplace and sometimes does an extra job like dish washing or cleaning. She works so hard to make a living but no matter how hard she tries, her financial situation does not improve. She is even thrown out of the house for not being able to raise her monthly rent. Desperately, she moves into another neighborhood which is not suitable for a single woman and two children. Mustafa Kuzgun (Ahmet Mumtaz Taylan) has a modest life in Istanbul. He lives happily together with his wife Inci (Devrim Yakut), his son Kemal (Olgun Toker), and his daughters Seher (Hazar Erguclu) and Sirin (Ecem Erkek). Mustafa is the owner of a small restaurant where he works as a cook from 4:30 am to 5:30 pm each day. His restaurant becomes all his life after he migrated from Adana 30 years ago. Mustafa never returns to his hometown Adana during this time and lives happily in his small world together with his family. His son Kemal (Olgun Toker) also works as a cook in another restaurant but hides this from his parents. Zeynep (Sevda Erginc) and Yildiz (Eda Ece) are two sisters who are living together in Istanbul. Even though they are sisters, they are totally different from each other. Zeynep is a beautiful girl who adheres to her ethical values and works as a manager assistant. When the company she works is taken over by another company, she starts to work together with a young businessman Alihan (Onur Tuna). Alihan is an arrogant, cool, serious, and rich guy who does not refrain from hurting people. Starting from his first day at the company, Alihan and Zeynep fight like cats and dogs. Neither of them takes steps backward. Alihan likes the way Zeynep behaves and starts to develop some feelings for her.